Because two friends (and blog enthusiasts) have recommended this New York Times article (by Michael Pollan) to me in the past two days, I feel like I’d be doing a huge disservice to both of them if I didn’t share it with you today. So here’s an excerpt from the article, Rules to Eat By. It seems to me he’s talking about intuitive eating. As in, we know more than we think we know and if we just trust ourselves, we might fare better than we ever imagined. Think of a toddler that pushes away her dinner after ten minutes of sifting through a bowl of Cheerios. Tomorrow she might be extra-hungry, and that’s OK. But (to her mom’s chagrin) she’s not likely going to force Cheerios down her throat just because it’s there, either. Toddlers really have a grasp on intuitive eating; we just seem to lose it over time. 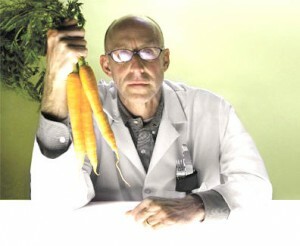 Anyway, truth be told, I’ve never read Michael Pollan’s books, In Defense of Food or The Omnivore’s Dilemma. Plenty of my friends have, bloggers I read have … and I know the premise of each — I just haven’t gotten my hands on them yet. It turns out Pollan has a new book coming out in January called Food Rules: An Eater’s Manual, and you can bet this will be on my Amazon wish list. I think it’s going to be a great read. You can view Pollan’s reader’s favorite food rules here. As someone who has journaled every day practically for the past 5+ years … I have a few of my own rules, but my favorite, most tried-and-true is something I learned when I began Weight Watchers in 2004 … and it’s stuck ever since. As in, know what you want on the menu before you get to the restaurant, which is particularly important because we like to go out to eat a lot. This doesn’t mean never give into a spontaneous choice (hello, life would be boring if everything was planned) … but nine times out of ten, having this forward-thinking mentality has been my saving grace throughout my journey. How about you? What are your “food rules” to live by? I loved this article! My favorite rule was, “If you’re not hungry enough to eat an apple, then you are not hungry.” So true! I haven’t read any of Pollans books either, though people keep telling me to. I’ll be reading the new ones for sure though! My rules? Stick with lower fat, avoid processed foods (except pudding, i love jello pudding) and do my best to choose healthier options in smaller portions. Pollan’s books are wonderful. My main rule is to eat whole, real foods. No chemicals, additives, etc. Nothing my great grandparents wouldn’t know what it was. I’m also in the “Know Before You Go” category…it helps me so much to think through all the choices before I get to the restaurant so that even if I change my mind, I’m able to keep things a little more under control. Thanks for sharing your insight, ladies! 🙂 Good rules!! I’m in the if you fail to plan, you plan to fail camp. If I don’t have a snack with me for emergenies I eat the wrong stuff and I make bad choices. I just need to have a plan even if I vere from it slightly.